Domes and Mirrors by Se-Kure ONV-180-18 18" Half Dome These 180 degree Half Dome Mirror are used for a "T" intersection of a building. Ideal for industrial use. The view is similar to the full dome, but can be mounted at the end of an aisle where a forklift operator can see in both directions without needing to look towards the ceiling. 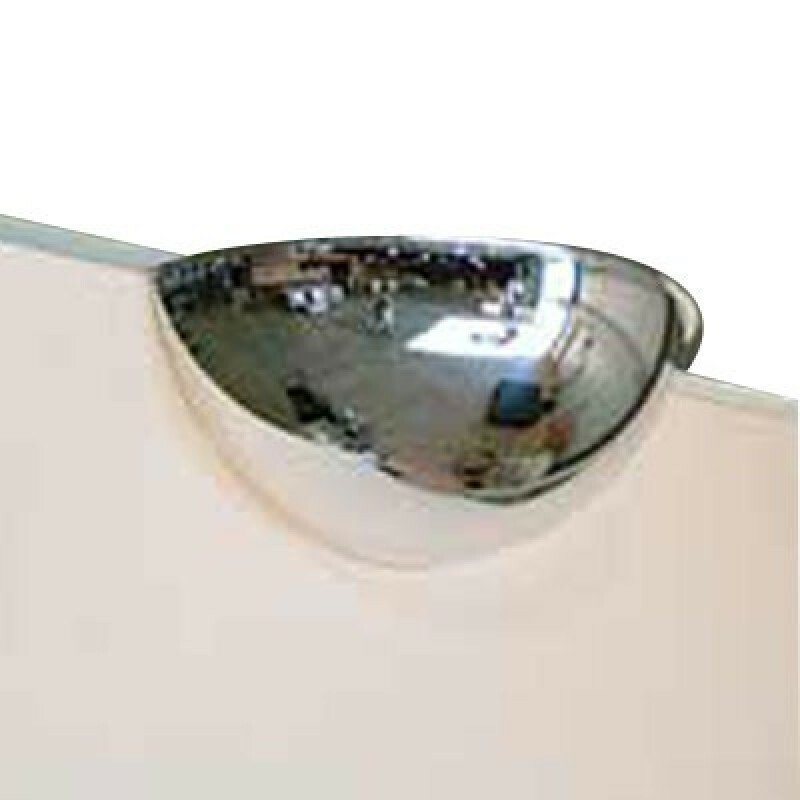 Also a great security mirror for hospitals, offices and retail stores. The view distance ratio is about 1 foot of viewing distance to each inch of the diameter of the dome.